Annie and I had the pleasure of visiting her family in Washington DC at the end of May. Throughout the week, we took the opportunity to visit many of the touristy locations around DC including many of the Smithsonian Museums and a few gardens. Out of all of the amazing things we saw on the trip, one of my favorites was the United States Botanic Garden just southwest of the capital. The garden has an outside rose garden as well as a large outside garden known as Bartholdi Park. If you’re interested at all in flowers and fauna, this is definitely a must see upon visiting DC. Since we’re beginning a new month of Arkansas Wallpapers, I felt it appropriate to feature some of the photographs I captured at this particular location. Therefore, prepare yourself for a variety of some of the more interesting photographs I captured at this amazing location just outside of our nation’s capital. The first wallpaper is a photograph of a Dawn Clematis which grows in beautiful vines upon trellis throughout Bartholdi Park. 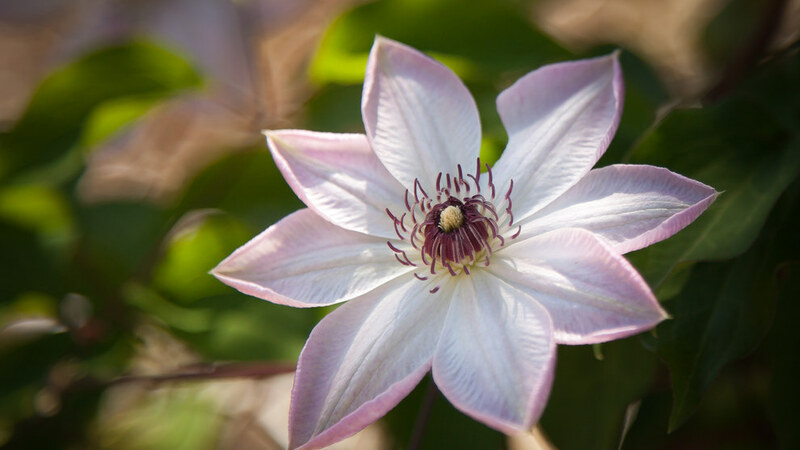 For more information on this flower and to purchase one for your home check out this link: Wayside Gardens – Dawn Clematis.